Sanity Claws Radio – The Rum Show! It’s a mid-week rum special in this episode of Sanity Claws Radio. Scotty, Karen, Jon, Badger, and Steve talk about the delights of rum in this midsummer booze special. We talk about the history of the popular alcohol and sample some of the best selling rums in America. Plus, Scotty and Steve Magic it up, Jon and Karen watch all of the cartoons and Badger hides out in his Fallout Shelter. And finally, we finish off the show with a feisty round of I Can Top That. Join in Won’t you? 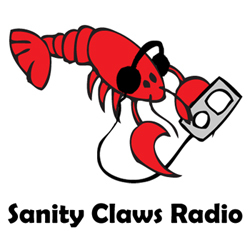 ← Sanity Claws Radio – Unintended Audiences!